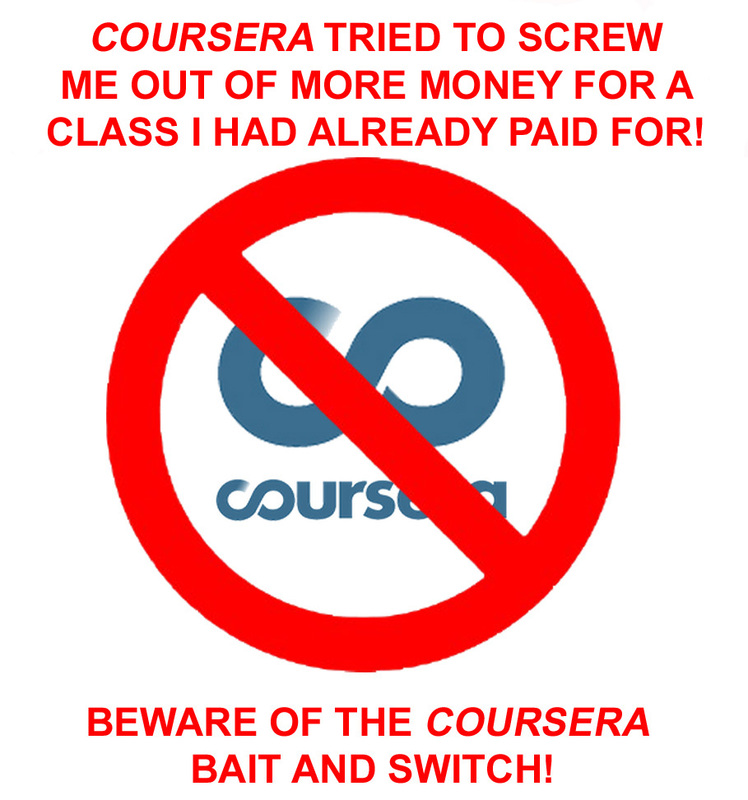 Beware the Coursera bait and switch! 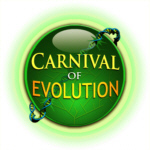 On July 30 I signed up on Coursera to take their “verified certificate” version of the course Evolution: A Course for Educators, taught by Joel Cracraft and David Randle of the American Museum of Natural History. I figured it would be fairly easy given my background and the certificate would add a little something to my resume. So, as I said, I signed up, paid the $29 fee for the certificate got an email receipt back from Coursera and waited for the class to start on Aug. 3rd. Aug. 3rd quickly rolls around and I get another email, ostensibly from Cracraft & Randle, welcoming me to the course. Then I tried to log in and start the course only to get a 404 error message telling me that the page for the course isn’t there. I contact Coursera and they send back the usual “use X browser & clear your cache” troubleshooting message. I was already using browser X and I cleared my cache but this has no effect and I inform Coursera of this. Next I get an email telling me that the course I signed up for has “changed format” (apparently in a matter of days) and that I needed to “un-enroll” from the old course, get my money back and then re-enroll in the new version. One problem though, the new “format” is $20 more than the old one! I suggest to them that since I already paid the price they had asked for (and got a receipt & welcoming email etc.) that they should allow me access to the course. They responded by refunding my money and telling me (in corporate happy talk) that it was too damn bad and that if I wanted to take the course I would have to cough up $49 dollars, going so far as to suggest that I look into their financial aide services if I thought that would help. Well, instead of paying more money I am telling everyone I know about their bait and switch and asking that you pass this on on Facebook and Twitter and the like. Thanks! By the way, does anyone out there know Cracraft or Randle? I wonder what they would think of how Coursera treats their would-be students. 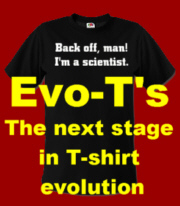 This entry was posted in Education, Evolution, Misc., Personal, Science, Science education, Science in the media and tagged American Museum of Natural History, bad customer service, bait and switch, Coursera, evolution, Evolution: A Course for Educators, false advertising, Joel Cracraft. Bookmark the permalink. ← Marriage Equality at last! I was wondering when the commercial dimension of MOOCs would impinge on the publicity. I didn’t have any problems with Coursera when I signed up for Phil Currie’s Dinosaur Palaeobiology, several months ago. Well, no problems other than the normal ones of them needing Browser X Version Y. If you fell between the cracks on a re-pricing cycle, then of course they should honour the price you paid to them initially, which is now effectively an interest-free loan from you to Coursera. Does your part of America have “Better Business bureau” where you can raise an official complaint? Of the two names on the course, one is from the science part of the organisation and the other is from the Education Management part ; the latter would look to be the person to complain to. If I recall correctly, there’s nothing to prevent you from doing the course while this issue over the certificate is addressed. That would of course allow you access to the forums and the current cohort of students, and thereby the ears of the managers.